This wedding set is the most affordable and has the most variable looks of any of my wedding set designs. 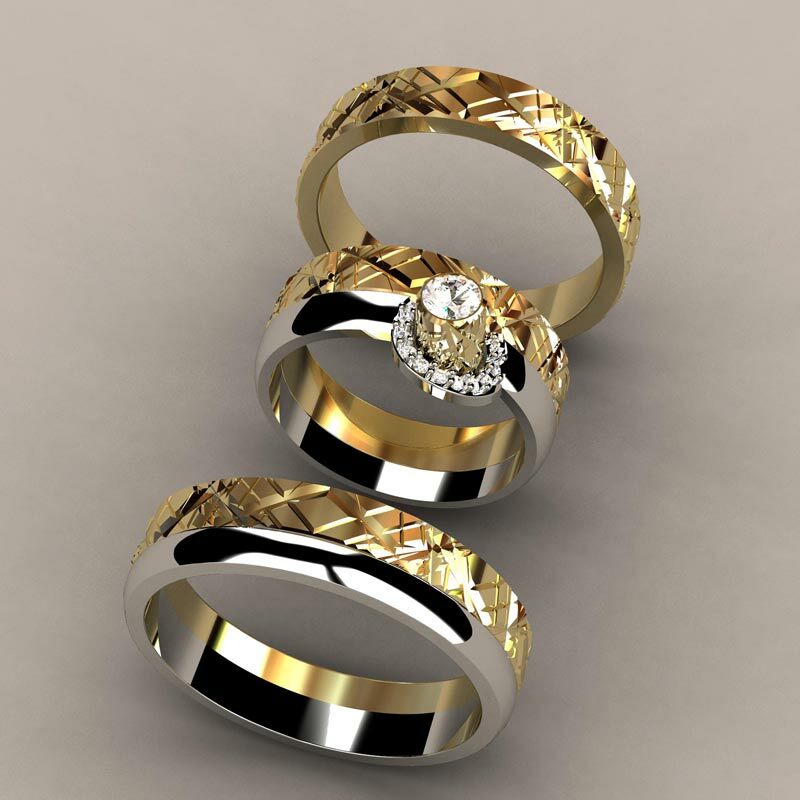 The engagement ring is set with one .15 carat round diamond and can be worn with two different wedding bands. The men's bands are available in all yellow or white and yellow combination. The set is made of solid 14k gold. Watch the video to see the different combinations.